The smell of smoke in the air, hot chocolate in paper cups warming cold hands whilst rockets fall in colourful showers of light. Bonfire (or Guy Fawkes) night is one of my firm favourite family celebrations. You may be venturing out into the night to your local display, or having a smaller celebration at home. Having young children means the last few years we have watched out of the window, melted marshmallows over the fire and gone through a dozen packets of Sparklers. Staying safe and having fun. Whatever way, big or small, loud or quiet that you enjoy the night it is important you and your family stay safe. A clear memory of mine from childhood is of my grandfather throwing what he thought was a dud Catherine Wheel in the fire. I have never seen him move so fast as it exploded in a shower of green. Never return to a lit firework and never put them in the bonfire is the message there! Optical Express state that every year, around 10 people in the UK have accidents which lead them to lose their sight and 300 more receive serious eye injuries. If someone does suffer an eye injury from fireworks, be sure not to rub, rinse or apply pressure to the eyes and seek medical attention immediately. Have a First Aid kit on standby for any minor burns or bumps. Don’t forget your furry friends. Wherever you are going remember pets don’t like fireworks, so make sure you keep them somewhere quiet and safe. Even the kindest friendliest animals can be unfriendly when scared. Bonfires are lit to ‘burn the Guy’, which is a dummy which represents Fawkes. It’s not only the guy that can find its way to the fire but also all manner of little creatures that think the bundle of dry sticks is a great place to sleep. Before lighting you can get your children to help you peep into the pile and check no Hedgehogs have taken residence. Buy quality fireworks with the British Standard code BS 7114 written on the box, from a reputable retailer. Keep fireworks in a closed and secured metal box. If you are putting on a display in your small garden, think about the size firework you are buying. Have a bucket filled with water or sand on standby. Burning down the house. Or not. If you have a bonfire on your lawn leave plenty of space, away from outbuildings, hedges, garden furniture etc. If you have small children remind them to stand well back as flames tend to spark. Minimise smoke by only burning dry material. It’s all about the Sparkler. Always wear gloves and encourage your children to hold them horizontally away from themselves. They burn at an eye-watering 1000°C-1600°C. Supervise kids at all times and remind them that whilst they may look like decorative lightsabres running or sword fighting with them is a bad idea. When Sparklers have burnt out remember the ends stay hot for a long time after! Lock up on Bonfire Night. If you are going out make sure your home is secure, it is the time of year when burglaries are rife so don’t get caught out. Leave a light on and all windows shut. They may be pretty but Rockets can reach speeds of up to 150 miles an hour. Throwing a firework is a crime and you can be fined £5000 for doing so. 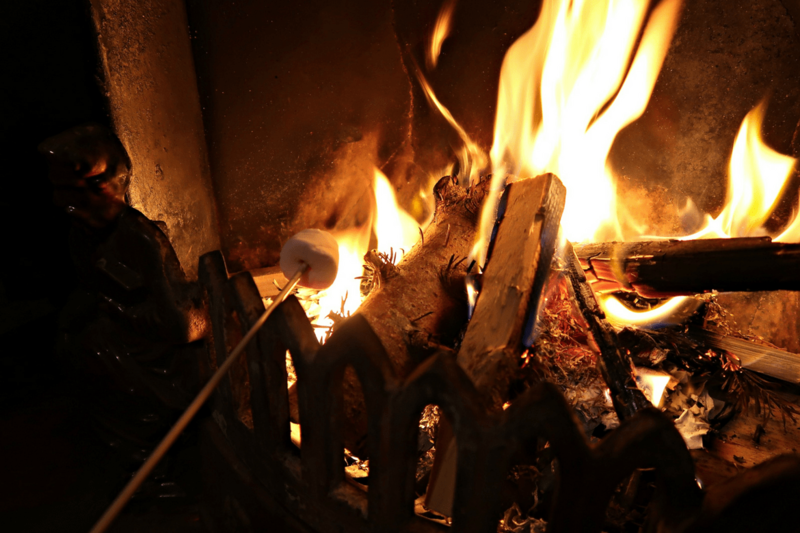 We wish you a happy and safe Bonfire Night this Sunday!